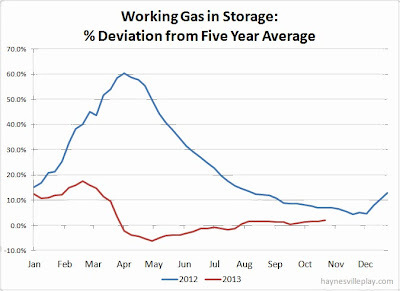 Working gas in storage was up 87 Bcf this week to 3.741 Tcf. 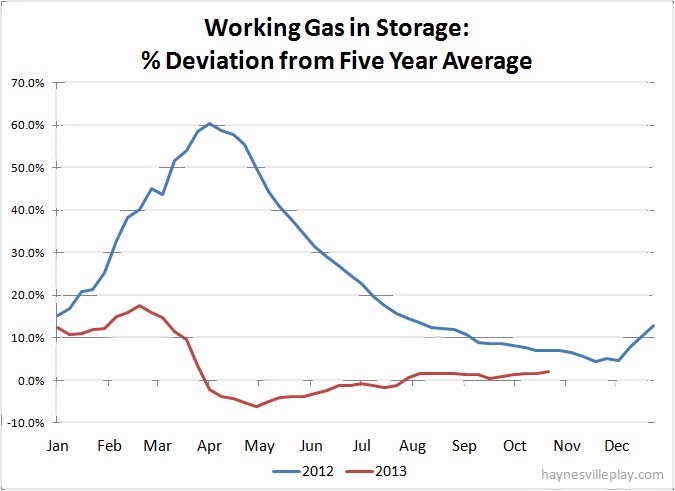 The weekly injection was 36% higher than last year (+64 Bcf) and 30% above the five year average (+67 Bcf). 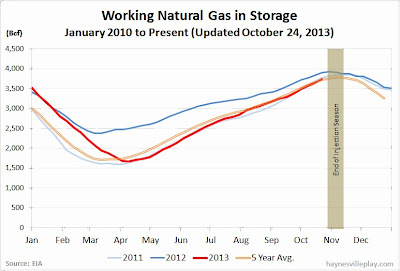 The current storage level is now 2.4% below last year (3.833 Tcf) but 2.1% above the five year average (3.664 Tcf). 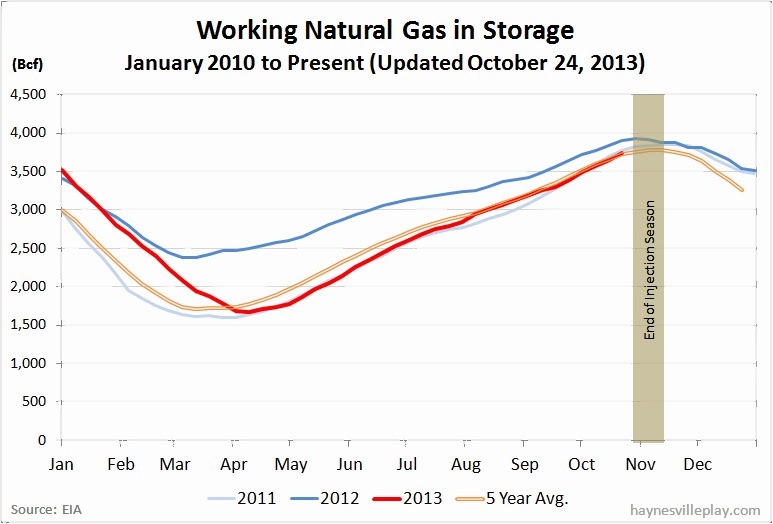 With the current week's data, the current storage level has been higher than the five year average since the first week of August. Temperatures in the Lower 48 last week averaged 59.7 degrees, which was 2.6 degrees warmer than last year and 2.1 degrees warmer than average.